“We were considered really exotic when we installed our first small PV system almost twenty years ago,” said Leonhard Häde’s son Fabian, remembering the farm’s beginnings in producing its own green electricity. Over the years that followed, the family-run farm started the award-winning project “Sunny Egg” and installed large PV systems not only on the roof of the new henhouse, but also in the chicken yards where the laying hens now peck around in the ground beneath PV tracking systems. “The five PV systems on the farm generated a total of nearly two million kilowatt hours of electricity in 2017,” said Fabian Häde proudly. To save on energy costs and reduce the farm’s CO2 emissions, the Hädes use the electricity generated by the most recent PV system (with an output of 250 kilowatts) for self-consumption. The green pioneers do not compromise when it comes to heat either. The farm has two CHP plants, which are fed from a nearby biogas plant. Working with Frommann and a certified energy auditor, Mitzlaff set about making a record of all energy producers and consumers on the farm, which is hard work. For a qualified audit, at least 90% of the overall energy demand must be explained, so the experts visited the farm twice to examine every inch of it. They then installed a monitoring system based on ennexOS—a real first for all those involved in the project, meaning there were a few technical obstacles to overcome. “You need to have a very precise knowledge of the current paths on the site to record all the energy flows across the different sectors of electricity, heating, ventilation and cooling,” said Mitzlaff. The long-standing good working relationship between the Häde family and the Kirchner Solar Group is paying off in this regard. “We planned and installed all the PV systems on the farm, which means we have a precise picture of the electricity supply,” explained Frommann. The ennexOS monitoring system allows the Hädes to see exactly how much energy is being produced and consumed on their farm as well as when and where. By analyzing the consumption data, Mitzlaff is already able to give them some initial recommendations for more efficient energy use. One thing that stands out is that a lot of power is being consumed in a short time when the electrical feeding equipment in all the coops starts up at the same time. “Operating the machines with a slight time delay will reduce the peak load. This measure alone will allow us to save up to €1,000 a year on our electricity costs,” said Fabian Häde. With ennexOS, all energy flows on the farm can be monitored, analyzed and managed at all times. Surplus solar power is sold directly as part of the digital energy trading system. However, before the direct marketing process can begin, Mitzlaff still has some sleepless nights ahead. “Just before Christmas, we actually thought that everything had been clarified and set up so that direct marketing could begin as planned on January 1, 2018,” he recalled. “But when I checked my e-mails after the holidays, I got quite a shock. The grid operator saw problems with the system’s compulsory remote control and refused to connect us.” Mitzlaff pulled out all the stops, making calls, writing e-mails and calling colleagues back from their Christmas vacations. And he succeeded at the last minute. Since the start of the year, the Häde family has been selling their surplus solar power directly to the power exchange. Folke Mitzlaff, Markus Frommann and Fabian Häde are already thinking further ahead. Based on the energy monitoring results, electrical appliances, heating, ventilation and cooling systems on the farm are going to be connected via ennexOS and managed automatically. By this integrated energy on a local level, maximum energy efficiency and cost savings can be achieved on the farm. The Häde family is also going to install a large battery-storage system on the farm to avoid peak loads and further increase their self-consumption of solar power. The energy monitoring results are also being used to optimize the storage system design. 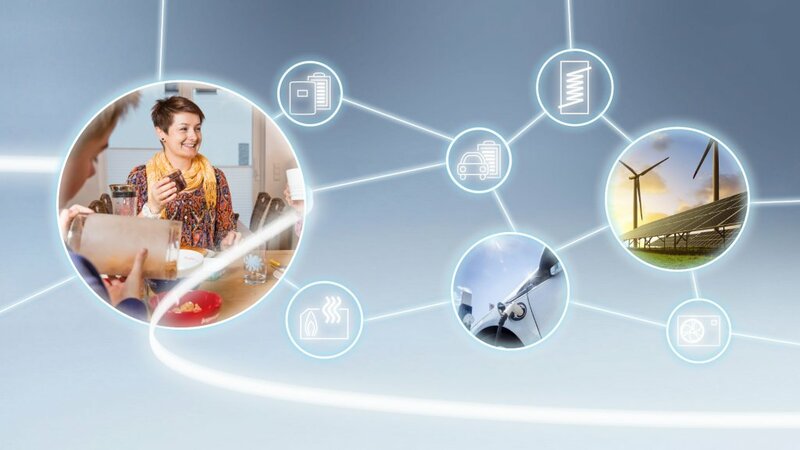 Once the necessary regulatory conditions are in place, in the future, the Hädes will also be able to play an active role in the energy market with the battery-storage system via ennexOS to provide grid services for balancing supply and demand in the utility grid. 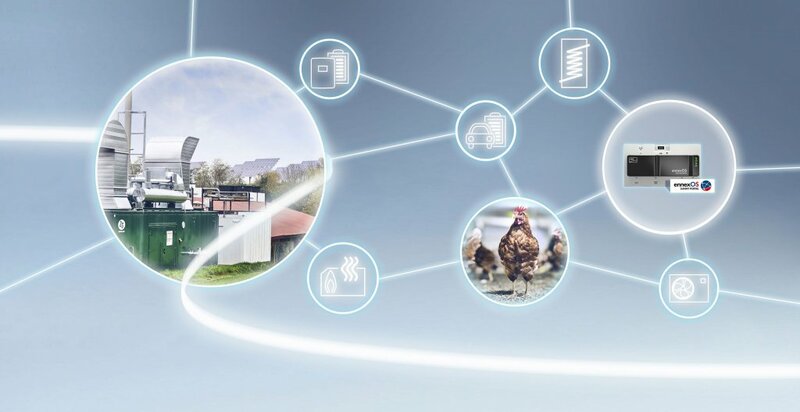 This is the digital future of the energy supply—and it has most definitely already begun on the Häde poultry farm in Alheim-Heinebach.